100-mile run with 33,050 feet of climb and 33,050 feet of descent for a total elevation change of 66,100 feet with an average elevation of 11,186 feet - low point 7,680 feet (Ouray) and high point 14,048 feet (Handies Peak). The run starts and ends in Silverton, Colorado and travels through the towns of Telluride, Ouray, and the ghost town of Sherman, crossing thirteen major passes in the 12,000' to 13,000' range. Entrants must travel above 12,000 feet (3,700 m) of elevation a total of 13 times, with the highest point on the course being the 14,048' summit of Handies Peak. The race has been held in early July of each year beginning in 1992, except for 1995 (too much snow) and 2002 (nearby forest fires). Each year's race is run in the opposite direction of the previous year's event. 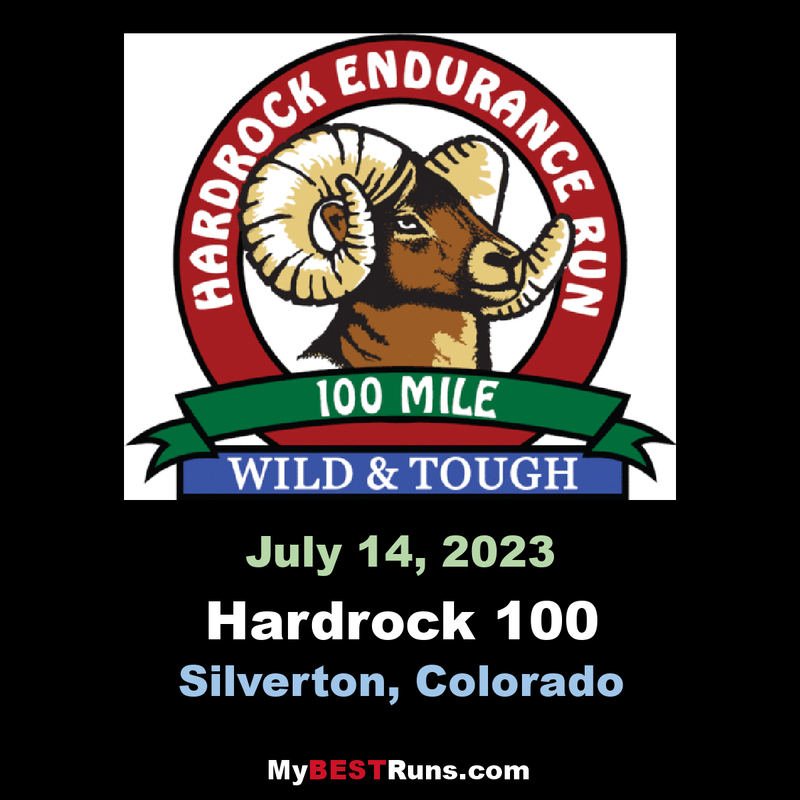 In order to complete the event, instead of crossing a finish line, runners are required to "kiss the Hardrock", a picture of a ram's head painted on a large block of stone mining debris. This course offers a graduate level challenge for endurance runs. The course is designed to provide extreme challenges in altitude, steepness, and remoteness. Mountaineering, wilderness survival and wilderness navigation skills are as important in this event as your endurance.